The judges simply loved this project. They described it as exactly what the internet was made for, a labour of love that couldn’t exist in any other medium. And they were impressed by the way the revamp had extended both the scope and the reach of the site. 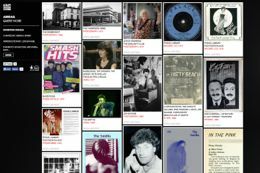 "Launched in 2006, and a Big Chip winner in 2007, MDMarchive is the world’s first user-led online music archive. It contains over 9500 digitised artefacts such as tickets, posters, fanzines and videos that have been uploaded by an ever-growing worldwide community of Manchester music lovers. In 2013, after years of surviving on shoestring, the archive attracted HLF funding, enabling a full-scale redesign and the addition of an online exhibition facility that allows users to curate and share their own exhibitions. The new design has opened up content, improved access across devices and brought the archive to a wider audience." An entry in this category can be any digital project commissioned by or executed by a third sector organisation (charity, social enterprise or not-for-profit association), for example a not-for-profit website, or a community-led content project. Entrants should demonstrate the success of the project in achieving a positive social objective directly, or in improving the ability of a third sector project or organisation to achieve its objectives. Submissions should provide reasonable evidence that the project is not for profit. Behind The Brands is a campaigning site that aims to change the social and environmental policies of the world's top 10 food and drinks companies. The judges really liked the way the site linked brands back to the companies that own them, and they were impressed with the response the campaign had gathered in a short space of time. But what really matters is that within a month Nestle and Mars had agreed to start making changes. Oxfam International's global digital communications campaign, Behind The Brands, exploited the power of social media to make brands listen to their core audiences. The campaign for the first time ranked the social and environmental policies of the world's 10 biggest food and beverage companies with an online scorecard - naming and shaming firms failing the millions of people in developing countries who supply land, labour, water and commodities needed to grow their products. Implemented across 12 countries it included a creative, sharable and impactful video; an informative, responsive design website; and suite of digital communications tools. 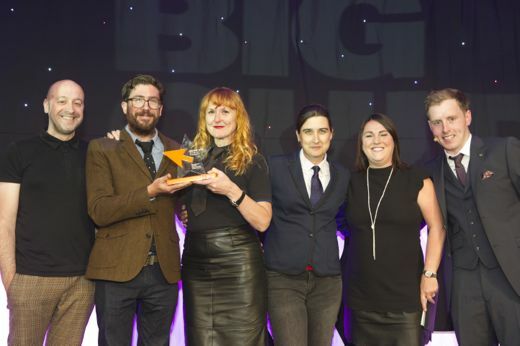 The not-for-profit sector is often a seed-bed for innovation, so the judges weren't surprised to find a project as ground-breaking as the Tyneside Cinema Time Machine in this category. It's the first use of an alternate reality game for classroom education by a cultural venue, but more importantly it uses the technology to deliver a truly immersive education experience. The winner here impressed the judges with its simplicity, its ease-0f-use and the quality of its content, all of which were endorsed by the strength of the response it's getting from its target audience. Swimfit is a website and web app developed as an extension to the swimming.org website. It's a free online coaching tool for swimmers of varying abilities. Swimfit is designed to increase participation in swimming by providing a structured approach to maintaining health, shaping up your body, improving fitness, developing your competitive swimming skills and taking on a range of distance challenges. A great idea that grabbed the imagination of its users. The MadLab is a unique and pioneering not-for-profit project supporting digital, creative and cultural practitioners and attracting national and global talent to reinforce Manchester's position as a post-industrial powerhouse of creativity, open practices, and expertise. This category was won by an entry that delivered a cutting edge website that brought the jazz and alternative music scene to life. This creation truly acts as a lively showcase for musicians and is trusted by artists and devotees alike. Band on the Wall reopened in 2009 after 5 years of closure, and required a new, cutting edge website to help market the venue and it's offering. Cahoona won the contract to develop the website, incorporating a social network, archive, event CMS, all wrapped in a modern clean design. We were impressed by the winner's use of all manner of Web tools, utilities and media to help its client reach an audience way in excess of its geographic region. A measure of its success is that the winning site featured in the Daily Telegraph's top 10 public art sites. Liverpool Biennial is known internationally for its contemporary arts festival held every two years in Liverpool. Mando Group were commissioned to deliver a website that would showcase their 2008 festival projects plus raise the profile of the other projects the organisation are involved in on an ongoing basis. A thorough user profiling exercise steered the information architecture and confirmed that integration with Biennial's YouTube, Flickr and Twitter accounts was needed to communicate to a wider web-savvy audience. The CMS functionality and micro-site builder ensure Biennial can deliver a series of engaging web based projects to support community based projects.